Forend bipod, steadies aim for improved accuracy. but will fit our handguard base rails. 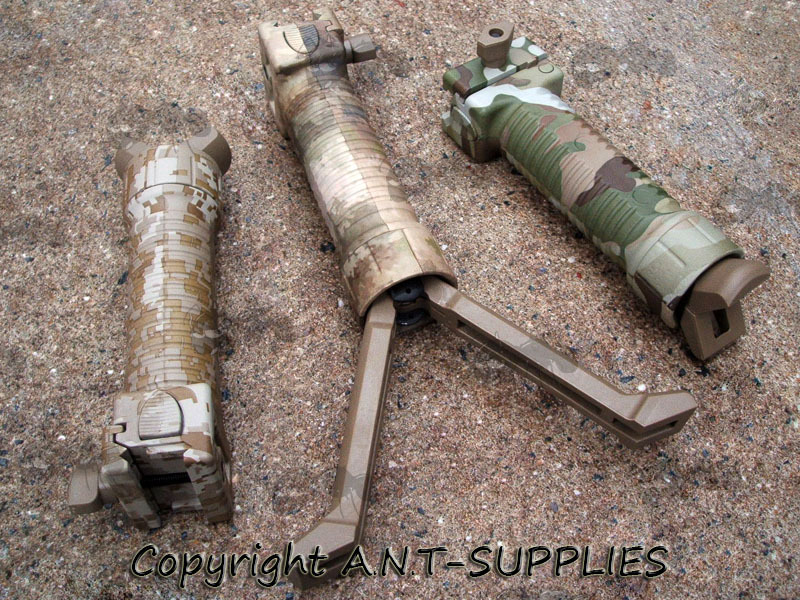 Also available ~ Vertical grip rail attachments. 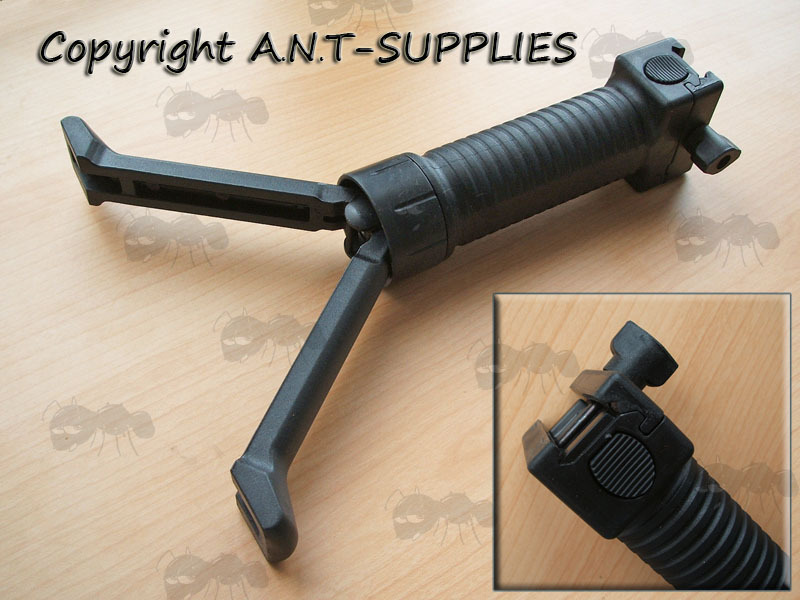 Multifunctional airsoft grip bipod with 20mm rail mount, fits all forend weaver / picatinny rails. Spring loaded with press button release. 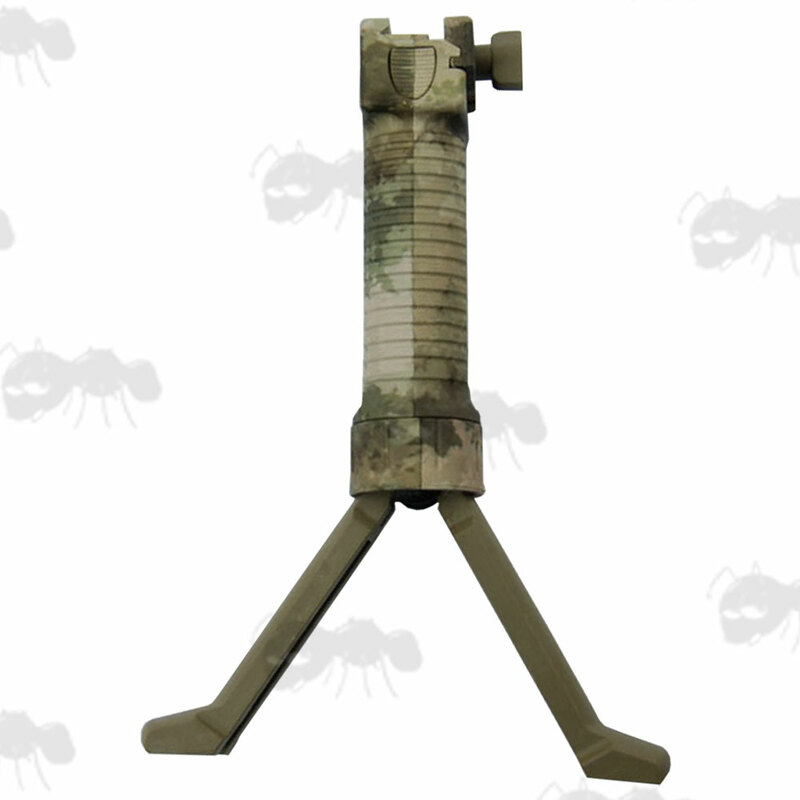 Compact, sturdy and comfortable, polymer construction. 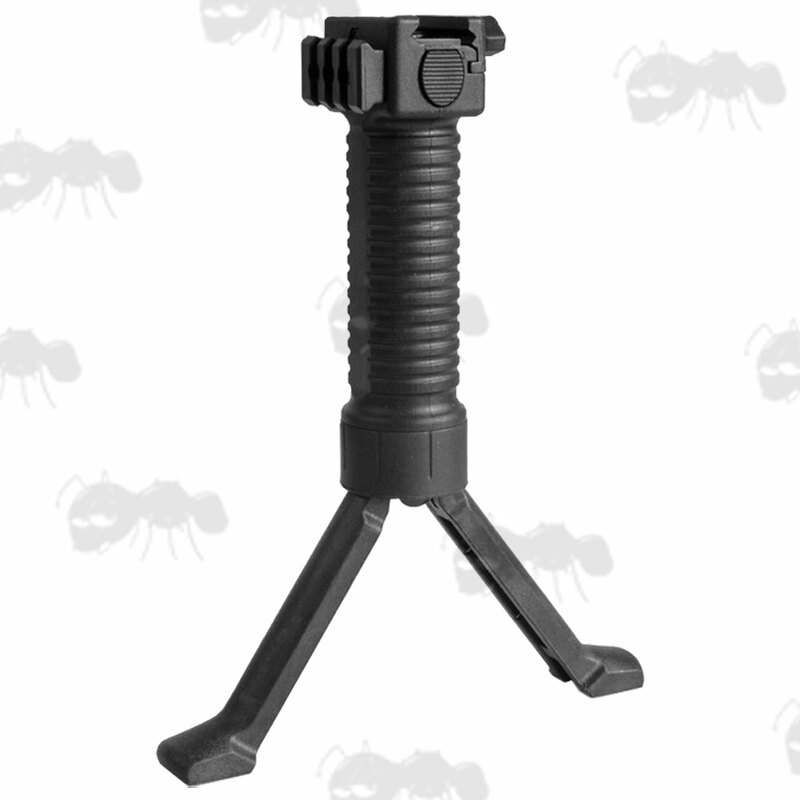 6¼ inch / 16cm long grip that extends to 8½ / 22cm bipod. Quick release thumb screw fitting. Please note we do not recommend these for use on crossbows. There is also a toy version available in black, it's much lighter, made from thin plastic, we only stock the higher-quality version.